This is our second NCS Newsletter! We want to get information out to you about what we are doing and keep you up to date with our programs, workshops and seminars. After much deliberation, we decided that a barrage of emails is not the answer. We have to do it the old fashioned way and send you a newsletter with ALL THE NEWS!! In one place. Makes Sense??? Sure it does. We will attach it to the email as well as insert it into the email for those of you who just want to get a bird’s eye view and don’t feel like clicking on the link. Now we gotta be honest, there will probably be no schedule of releases of the newsletter, however we will keep track of the ones we send out and are open to suggestions as to what we should include. We will provide you with a bunch of links to blogs and other resources so we can keep the newsletter in snapshot version. The design may change from time to time as our creative genius may get a little bored with the same ole thing. 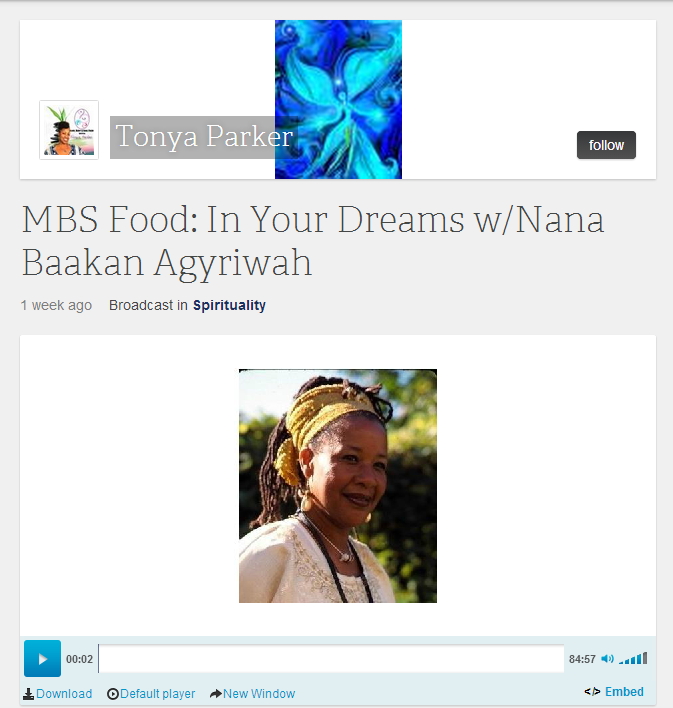 We had an awesome program on BlogTalk Radio with Tonya Parker @ Mind, Body & Soul Food 7/6/14. We uncovered some of the hidden meanings in the dreams of those who called in. Here’s the video link to the show in case you missed it. http://youtu.be/XEc45MUMNsA. To help you better understand yourself and your needs, get answers to important career/health/relationship questions, clarify your life purpose and direction, and more. Inbox me @ nanabaakan@gmail.com to set up an appointment to examine your dreams or get a psychic reading. Whenever any dream is remembered, it is an indication that the waking mind has a creative, transformative role to play in the evolution of whatever issue the dream is presenting. For millions of years, the ability to pay immediate and focused attention to nasty, threatening stuff has been a primary survival test. The creatures who pay effective attention to threats tend to survive, and the ones who don’t tend not to survive. In this way, we have been shaped by natural selection to be inherently predisposed to pay attention to ugly, scary, and menacing experiences. As a consequence, when the deep source within (from which all dreams spring, spontaneously and unbidden) has potentially important information to convey to the waking consciousness, it is very likely to dress that material up in the form of a “nightmare,” simply to get our attention. This leads to one of the most ironic general principles of dream work: the more horrifying and distressing the dream experience, the greater the potential gift of increased understanding and creative energy the dream has to offer. Why We Remember Nightmares…………………. Continue here. Today, I was extremely sleepy and so I took a very long nap in the middle of the afternoon. While sleeping it seemed I was getting information about the topic “Thoughts Are Things” but when I finally woke up, I could only remember a stream or two from the dream. I decided to approach getting more details by constructing a set of questions and allowing my inner voice to fill in the blanks for me. In the Divine Frequency of Love and Light, we extend these questions in a humble ritual of seeking further knowledge, wisdom and clarity. We are grateful for your responses in advance, we thank you. We are certain that we will receive what is needed for us to receive in this time/space reality. Q. Imagine: Thoughts are things. What does that mean? A. Everything that is seen or unseen, heard and unheard, felt and unfelt is a manifestation of THOUGHT. Simply put, the things that you manipulate in your world, all began with a thought, a vision, an image in the ethereal world or the ethereal dimension that surrounds your world, your reality. If you approach the THINGS that you utilize each day, from the tiniest to the largest and remind yourself, that it came to some entity in the form of a thought, picture or image, that was later made to manifest in 3d creation it will help to see how THOUGHTS become THINGS. Now if you can extend that process to the Creation of the Universe, then you will be more able to see how the Universe started off as thought and then that thought became manifest in all of Creation. Free/Open to the Public/Donations accepted.